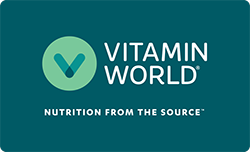 Since we opened our first door in 1976 with a single kiosk in Williamsville, New York, Vitamin World has been passionate about good nutrition. Because of our passion, we attract store Associates who not only appreciate the importance of good nutrition—they also care deeply about helping others develop their best self. With headquarters in Long Island, New York, Vitamin World has grown into a multi-channel provider of quality nutritional supplements and personal care products. The company operates more than 350 stores in the U.S., Guam, the Virgin Islands, and Puerto Rico. In addition to our retail stores, we provide our customers with a fast and convenient way to shop 24/7 through VitaminWorld.com. We believe good nutrition begins with good quality, and that good quality begins at the source. Vitamin World scours the Earth for the freshest, purest, most potent natural ingredients we can find, whether that means berries from the Amazon or fish from the Arctic. We are very picky about our ingredients and manufacturing standards so we can guarantee every customer that every product we make is rigorously created and tested to meet our sky-high expectations. Vitamin World exists to help customers achieve their personal wellness goals, whatever those goals may be. Some customers come to our stores because they have a particular fitness goal to achieve; others come hoping to avoid a particular wellness issue in the future. Still others simply seek to improve their athletic performance or maximize their strength and endurance. and we hope you will join us in that goal! As a Vitamin World Associate, you'll have opportunities every day to help others achieve greater wellness and fulfillment. You'll feel great going to work knowing you can help others make a difference in their lives.